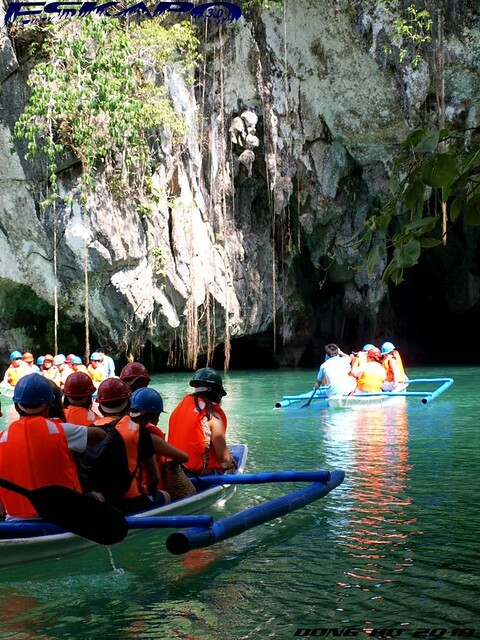 covering to about 5,700 hectares of great flora and fauna is the world known Puerto Princesa Subterranean River National Park. whether these are tree, land or water-dwelling animals, this park holds some endemic species. 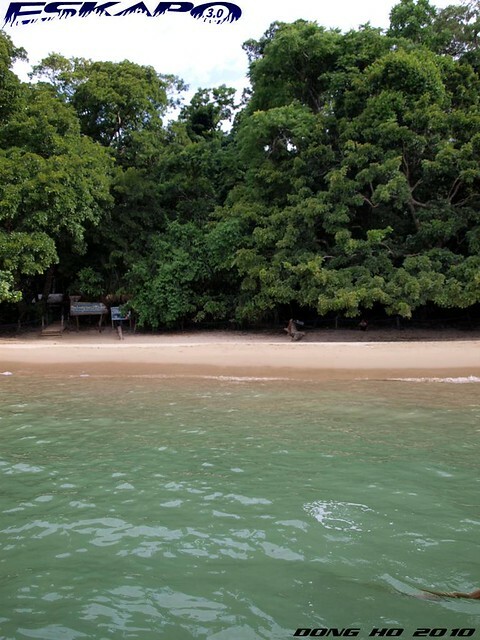 a short boat trip from Sabang beach leads to a well preserved nature park and despite the big number of tourists visiting the site, it has kept its great scenic view. 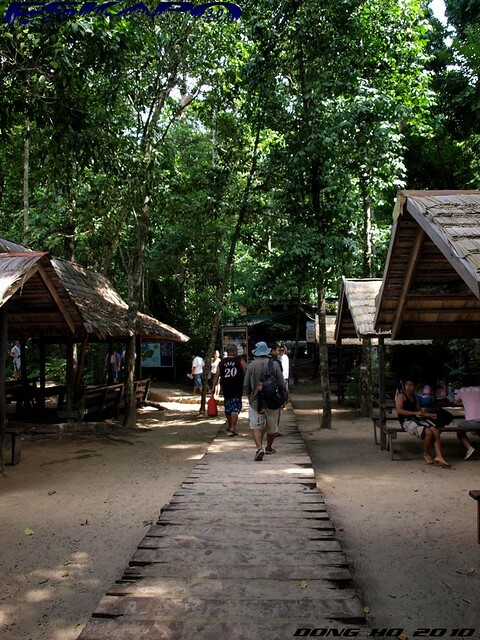 from the docking site, a short walk over a wooden walkway and lush area directs you to the boat station. 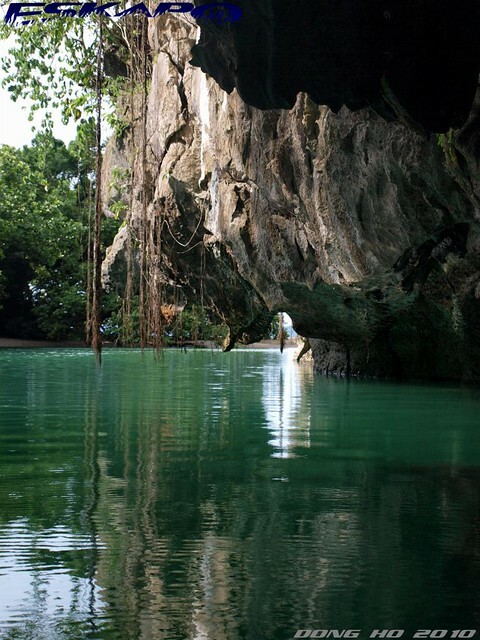 when one reaches the docking area for the underground river, immediately the cave's opening comes in view. it was really impressive how they preserve the area one was the prohibition of swimming from this point. another thing i like about the trip is that boats are all uniform and policies are strictly followed. a headgear and a life vest is required for each person and a limited capacity of passengers are allowed for each boat. 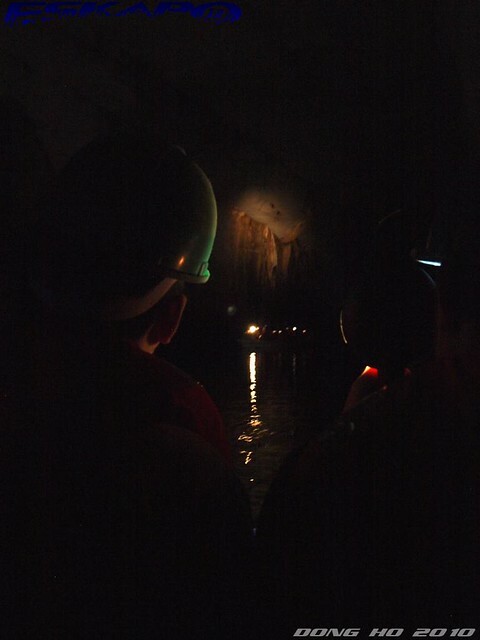 as we boarded our boat, immediately our trip goes straight into the cave. in the early part of the trip, the smell of bats can hurt your nose. 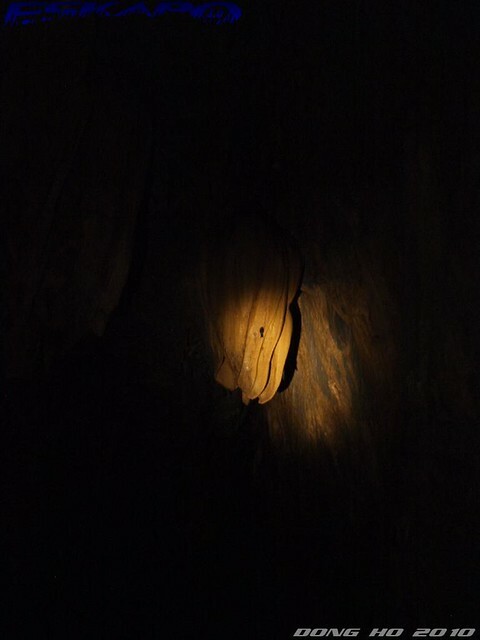 some of these small bats fly over you as you forward and expect to get wet from the drips of water coming from the cave's hallways. without a spotlight, the whole place is completely dark. so the person seated in the front row is assigned to hold it while the boatman sits at the back paddling. 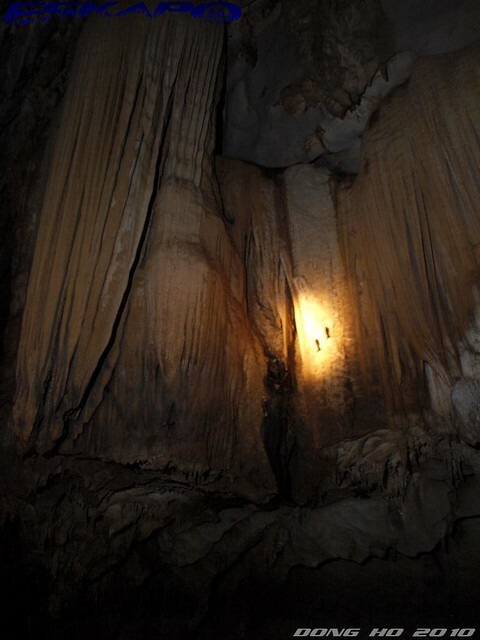 expect to see the stalactites and stalagmites on forms which the boatman describes wittily. it was not easy to take a shot as there's not enough light and at the same you're moving. as you reach the what they call the highway or hallway, you will turn back the same route out. the 45-minute trip was a bit short for me, but it was worth the cruise. one thing else that you shouldn't miss in this area is the lizard spotting in the forested site. we were lucky enough that we saw a Monitor lizard when we arrived and after we left the place. 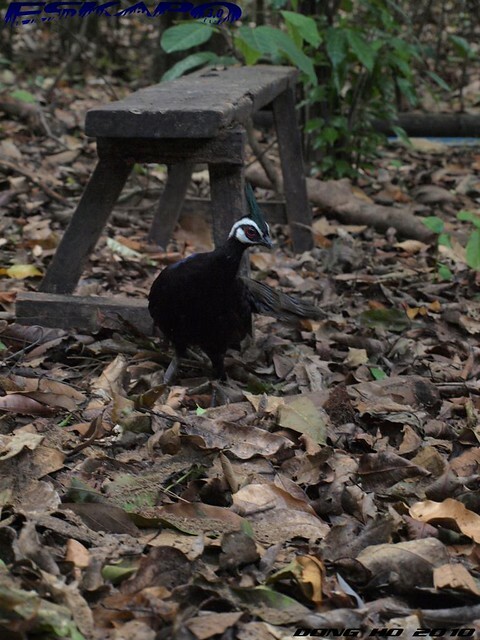 they walk freely as the area is a protected site. Palawan's logo of of a blue peacock on some business plates made me wonder why this logo. 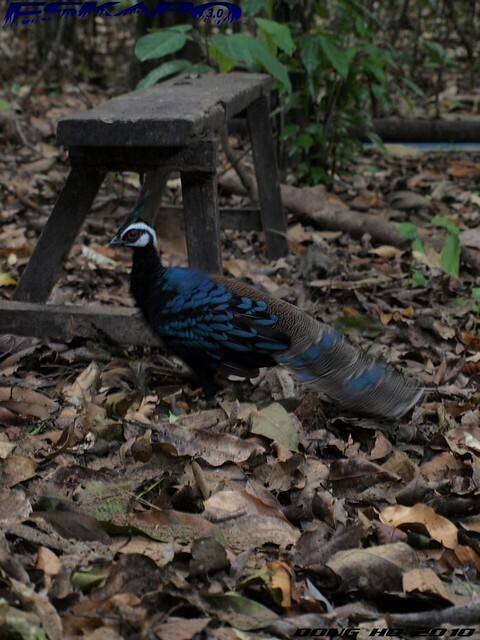 i found the answer here as we had the chance to see one of the few remaining Palawan peacock-pheasant which is endemic to the Philippines. 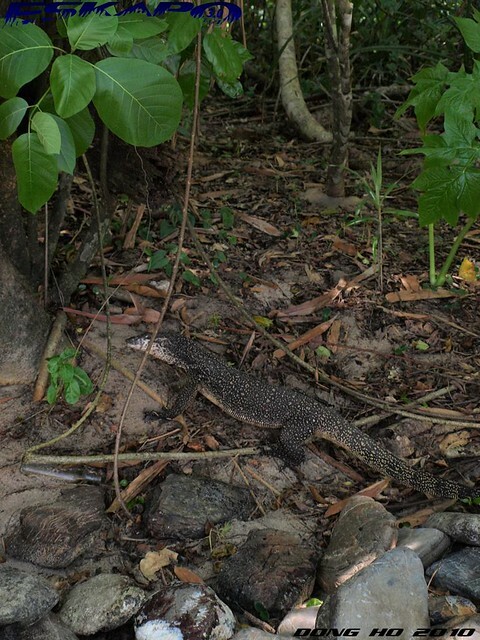 what's great is like the Monitor lizard, it freely roams the forested area. but what's bad is that this is already under the vulnerable category as on some areas, people still capture it for trade. 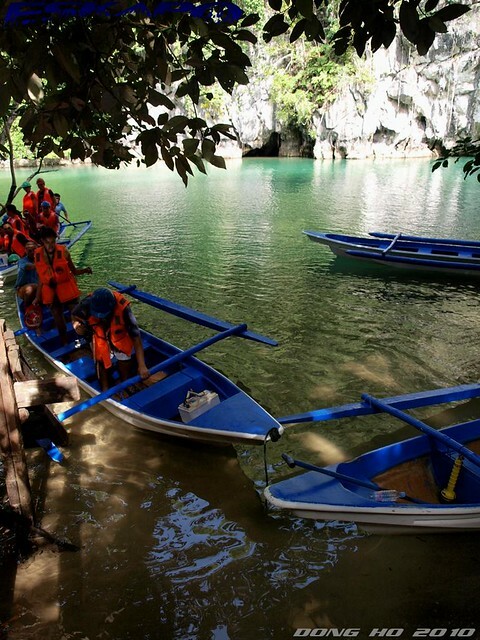 all in all, a visit to Puerto Princesa Subterranean River National Park is a great experience. beautifully narrated, pati pictures- kumpleto. felt like i was part of the tour din. wow bago na pala url mo doc! i hope mabisita ko din ang underground river. toink. 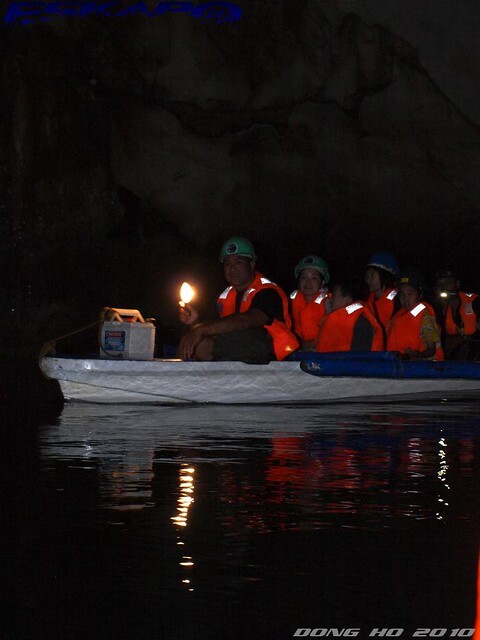 Really amazing this trip through the underground river, you describe it so well with a sequence of very nice images. Thanks for sharing! pag nakauwi ako at i only have enough time to visit one place, i'd go to palawan not boracay. ito tlaga gusto ko makita. in the meantime, naglalaway na lang ako sa mga photos mo. Wow very interesting place to visit. The scenery is so beautiful and nature is so close by. I am glad they provide life vests. In Vietnam, I refused to go on the small boat cause they dont provide life vests. galing. napipicture ko na sarili ko sa palawan in a few days. that's one place i'm sure i'm going to visit. thanks for the great preview. as always. mararating ko din siguro yan bullet day (balang-araw, toink! corny!). great adventure talaga. parang nagtour lang kami kasama kayo. you're very quick in taking those shots esp #10.. imagine you're moving and yet you captured all those well.. nice, at last nakapag-tour din sa Palawan dito! >hi Beth, don't stop yourself from going places just because you dont have a dslr. i started travelling bringing with me a point and shoot camera. nice to know that you like that photo but i should say the place is itself really nice. >hi Chyng, thanks! oh yeah. really excited about working with you and the team soon. sharing our travel stories alone makes it a worth meet. >Allen, yes. you might mean Dom. you should visit Palawan. no regret. >Hi Sheng, the right time. it's good that you know how to prioritize things. Palawan is highly recommended. 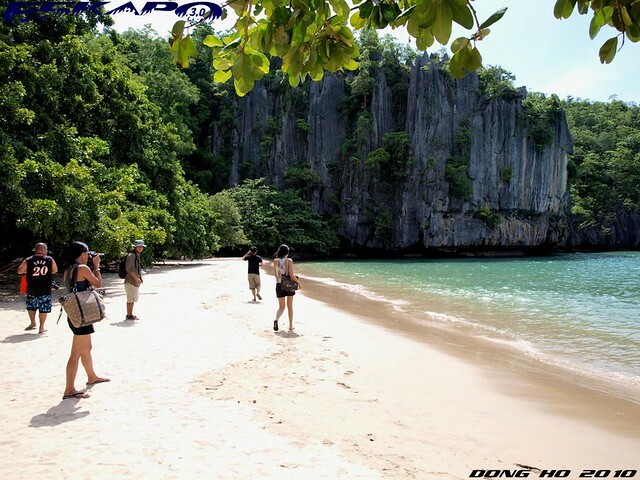 >Photo Cache, highly recommend Palawan. Boracay though has its own character but if you're really looking for an experience with great natural wonders... it must be Palawan. >Xprosaic, i wont be surprised if months from now ill be seeing you post about Palawan. >hi Sandy, one of our country's best. 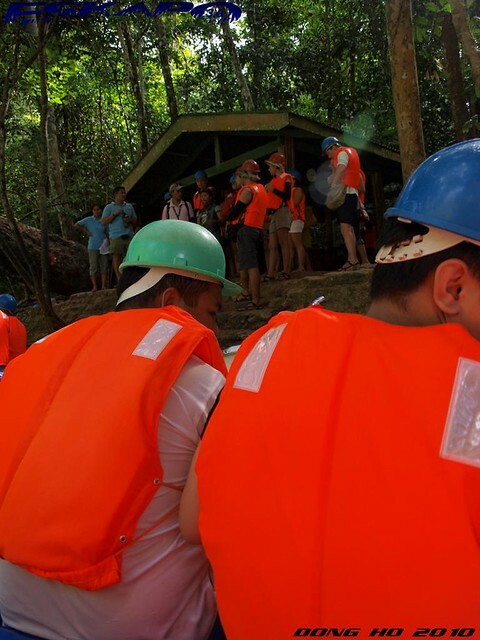 >hi alicesg, on some boat trips there are no life vest available like Vietnam but not here in the underground river cruise. it's strictly required. >gillboard, great! 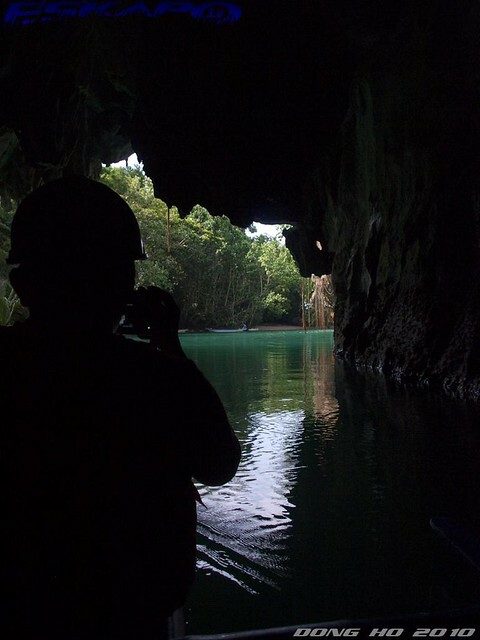 ill be looking forward to your own posts of Palawan especially your own take of Palawan underground river. maganda nga tong family trip. >redlan, iba pa rin pag nandun ka. tagal mong pumunta dito. >hi nuts, hirap talaga at tahimik talaga kaming humahabol sa ilaw para makakuha ng matinong shot. buti na lang nakakuha din kahit konti. >Borneo, you'll partly be scared because of their size and that it's their territory but what's good is they avoid humans who go near them. so there's nothing really to be scared of. This place is absolutely gorgeous. Saka panalo yun mga bankero dyan. Your narrative and photos brought back memories of the trip I did some years ago to the underground river. We walked back to Sabang through the monkey trail instead of taking the banca. Did you do the same? It gets better and better, though it never seems possible! Wow. Wow, what an experience! I think I would brave the bats to get to see this! very beautiful .... so beautiful ..